With an easy drag-and-drop editor and automated updates, backups, and administration tools, BoldGrid allows you to spend less time managing WordPress and more time creating. Build new pages in minutes, not hours. BoldGrid allows you to easily post previously developed content across multiple pages without having to copy / paste code. 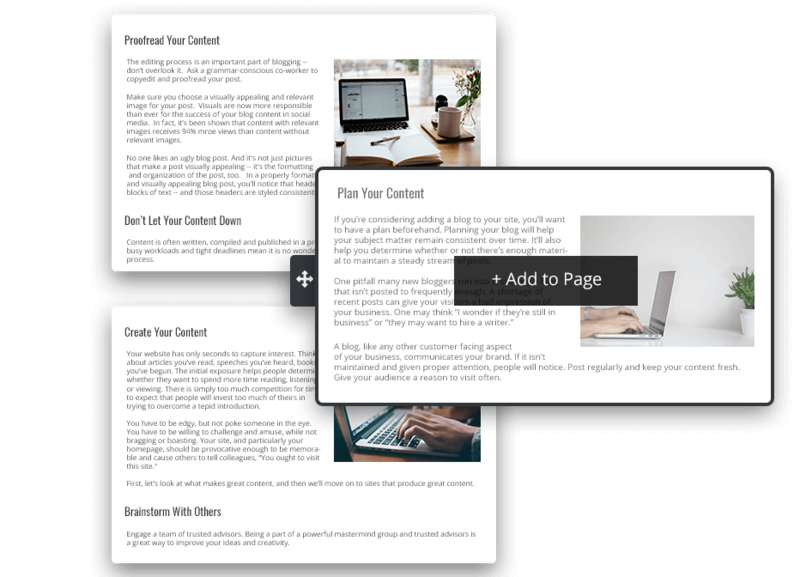 This allows you to quickly place blog posts, calls-to-action, and other pieces of content on as many pages as you need. BoldGrid’s SEO plugin gives you the tools needed to get noticed by all the search engines and rank higher in search results. 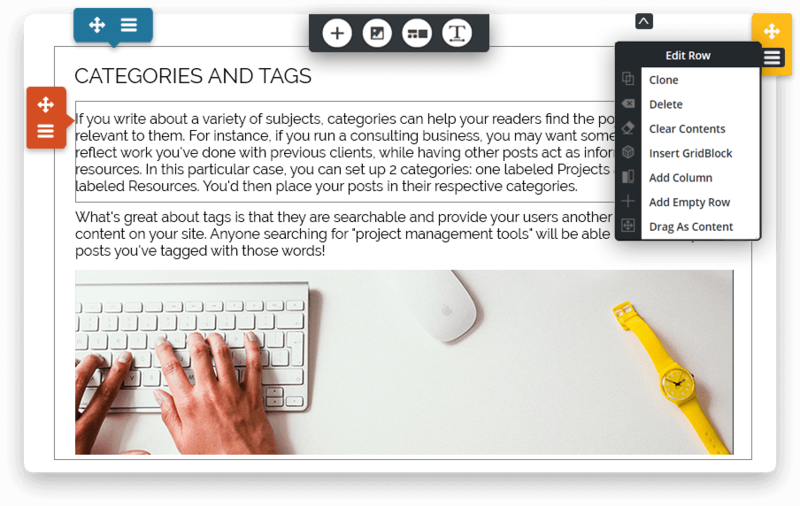 Easily set page titles and meta descriptions on the fly. BoldGrid’s Post and Page Builder Plugin provides a WYSIWYG drag-and-drop interface, allowing you to create rich column and row based layouts without any coding. BoldGrid is the easiest way to create a beautiful WordPress blog. Enjoy automated backups and updates, drag-and-drop editor and endless customization options. WHY CREATE A BLOG WITH BOLDGRID? Build bold, beautiful layouts quickly and easily with BoldGrid’s WYSIWYG click and drag editor. Simply slide your content to exactly where you need it. 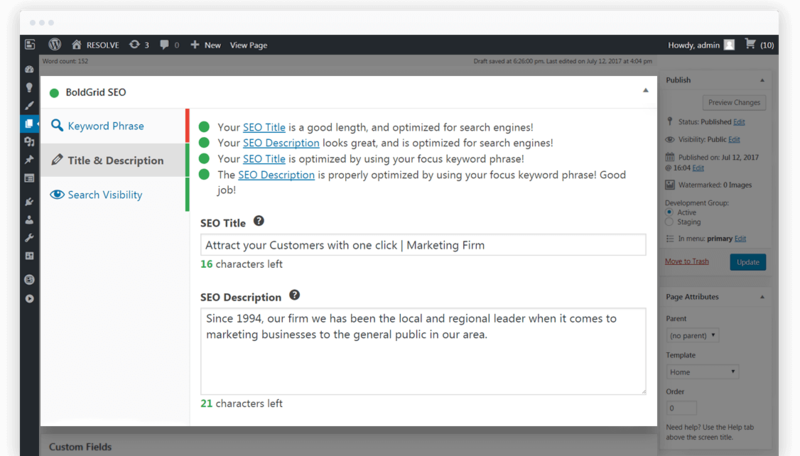 BoldGrid’s SEO plugin gives you the tools needed to ensure that your site gets seen by all search engines. Easily re-purpose and republish content without having to rewrite or rebuild a new post. Explore our library of beautiful, responsive WordPress + BoldGrid themes for unlimited inspiration. WooCommerce is a FREE eCommerce plugin that integrates seamlessly WordPress + BoldGrid. 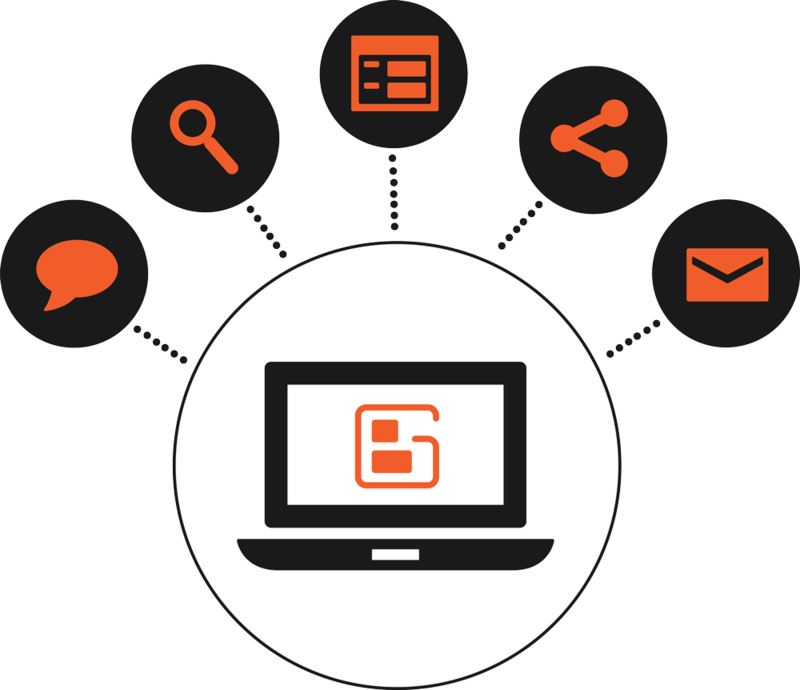 BoldGrid can automatically keep your blog’s software updated and maintain backups of your precious content.